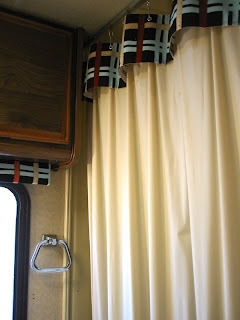 The shower curtain was replaced and a valance attached to coordinate with the fabrics and finishes in the entire coach. Towel holders on the wall and the door are original. 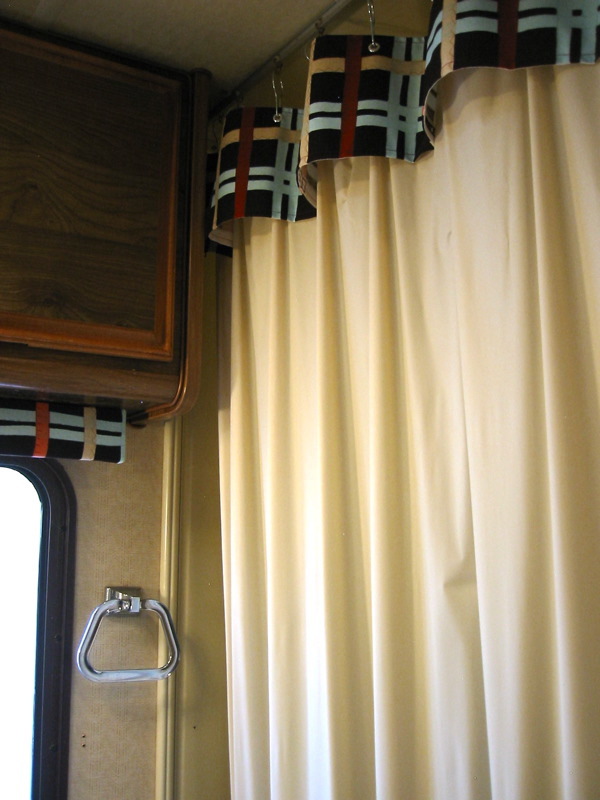 A robe hook has been added just inside the bathroom.